What kind of Church would call itself after Jesus Christ? Christian or non-Christian? What kind of people would be a part of said Church? Christian or non-Christian? What kind of people would make scared covenants in the name of Jesus Christ? Christian or non-Christian? What kind of people would perform their most sacred acts in the name of Jesus Christ as means of making said covenants? Christian or non-Christian? What kind of scripture testifies of Christ? Christian or non-Christian? What kind of people would accept volumes of new scripture that explicitly testify of Christ? Christian or non-Christian? What kind of people would accept heavily “Christianized” stories about Old Testament patriarchs? and accounts of Christian prophets in ancient America, Christian or non-Christian? What kind of prophets and apostles would repeatedly testify of Christ and his atonement? Christian or non-Christian? What kind of people follow such prophets, Christian or non-Christian? What kind of people believe and teach that it is only through Christ that we can gain salvation? Christian or non-Christian? The only non-qualified answer to each of the questions above is “Christian.” It would take a great deal of special pleading to give any other answer. Hence the implications of my five reasons: these are things characteristic of a Christian people, not non-Christians. Does any branch of Islam include the name of Jesus Christ in its official title? Is there any Jewish sect making covenants to follow Christ, and taking upon themselves His name? Does Hindu scripture overwhelmingly and explicitly testify of Jesus Christ as Savior and Redeemer? Are major leaders of the Baha’i faith bearing strong testimony of salvation through Jesus Christ? Do Buddhist believe that salvation comes only in and through Jesus Christ? Can a definite, unqualified “yes” be given for any of these five questions among any other non-Christian group? I doubt it. These are distinctly Christian beliefs and practices, all of which are prominently featured in Mormonism. Mormons call their Church after Jesus Christ, they covenant to follow Him, and take His name upon themselves. 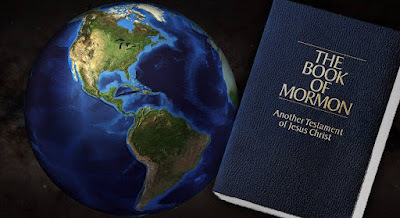 Their scriptures are dripping with testimony of Jesus Christ, and their modern day prophets and apostles have added their witness of Christ as well. They look to Jesus Christ as the one and only way of salvation. How, then, do LDS beliefs about Christ place them in a “non-Christian light” along the lines of Islam, Judaism, and Hinduism? Where, exactly, does LDS Christology coincide with Buddhism, or Hinduism? Just what is it that Mormons and Muslims have in common with their views of Jesus? What beliefs about Christ do the Baha’i have in common with Latter-day Saints? I am no expert on world religions, but I do not think that any other religious system more closely parallels the LDS beliefs regarding Jesus of Nazareth than that of mainstream, orthodox Christianity. I have tried to show how illogical it is to insist that a group who believes and practices the way Mormons do is not Christian. Just how successful I have been in this endeavor is for you – the individual reader – to determine. These are the things that I feel the critics must find a way to explain before they can be even close to convincing in their case against Mormons as Christians. They must engage these details of our faith and account for them; explain how a group that calls itself after Christ, covenants in his name, has unique scripture to testify of him, prophets who testify of him, and believe in him as the only means of salvation can properly be classified as “non-Christian.” They simply cannot causally dismiss these obviously Christian beliefs – which are at the heart of LDS worship – in favor of defining Mormons by the secondary views which Latter-day Saints hold that some might consider as “less orthodox.” Until the critics can come to grips with these decidedly Christian beliefs that are so prominent in the LDS Church, their claims that Mormons are not Christians simply ought not to be taken seriously. It seems the real controversy over accepting Momons as Christians is like the controversy in college football over "BCS" and "non-BCS" teams. By designation, 120 teams are Football Bowl Subdivision teams. But when it comes to designing a system that decides the national champion, a select group took it upon themselves to qualify which teams should be part of that system. Whether you are christian or not is up to you, not some other group of people. If you choose to be christian, then you need to make sure your beliefs and methods or worship support that. Mormons have done that. The rest of the Christian society should embrace them, not try and ostricize them. Christian religions are like automobiles. There are so many different makes and models, but the nuiances between them are not so great that you can't tell any reasonable person that the Chevy Bolt is not a car, but a Dodge Charger is. I have another perspective on this issue in my analysis of a part of Jacob 5.